Hailed by the Frankfurter Allgemeine Zeitung for his “range of expression and vocal power combined with the subtle art of characterization,” tenor Bryan Hymel is the winner of the 2013 Olivier Award for Outstanding Achievement in Opera for his trio of performances in Les Troyens, Robert le diable, and Rusalka at London’s Royal Opera House. The New York Times praised his “unflagging stamina and impetuous abandon” during his 2012 Metropolitan Opera debut as Énée in Les Troyens, for which he was presented with the Metropolitan Opera’s Beverly Sills Artist Award. An exclusive recording artist for Warner Classics, his first solo album Héroïque debuted at number 3 on the Billboard Classical Music chart, and earned Hymel the coveted Georges Thill Prize by the Académie Nationale du Disque Lyrique and the Newcomer of the Year Award from ECHO Klassik. Hymel begins the 2016-2017 season by revisiting his celebrated portrayal of Arnold in Rossini’s final opera Guillaume Tell at New York’s Metropolitan Opera. The new production, staged by Pierre Audi and led by Fabio Luisi, marks the first staging of Guillaume Tell at the Met in over 80 years. Following his triumph on stage in Verdi’s Requiem last season, Hymel returns for opening night at Teatro alla Scala in December for performances of Madama Butterfly. He makes his first appearances in the title role of Don Carlo in Nicholas Hytner’s acclaimed production at the Royal Opera House, Covent Garden in May, and finishes the season with his return to the Opéra national de Paris for performances of Don José in Carmen. Hymel’s recent seasons have brought debuts and return engagements at the world’s most accomplished opera houses and festivals. A favorite of audiences at London’s Royal Opera House, Hymel made his Covent Garden debut in 2010 as Don José in Carmen and has since returned for performances in Rusalka, Les Troyens, Robert le diable and Les Vêpres siciliennes. Hymel made his widely anticipated debut in 2015 at the Opéra National de Paris for performances of La Damnation de Faust, and returned later that season for performances of La Traviata. He made his Teatro alla Scala debut as Don José in 2010, later reprising the role with the Canadian Opera Company and in his debut at the Bayerische Staatsoper. 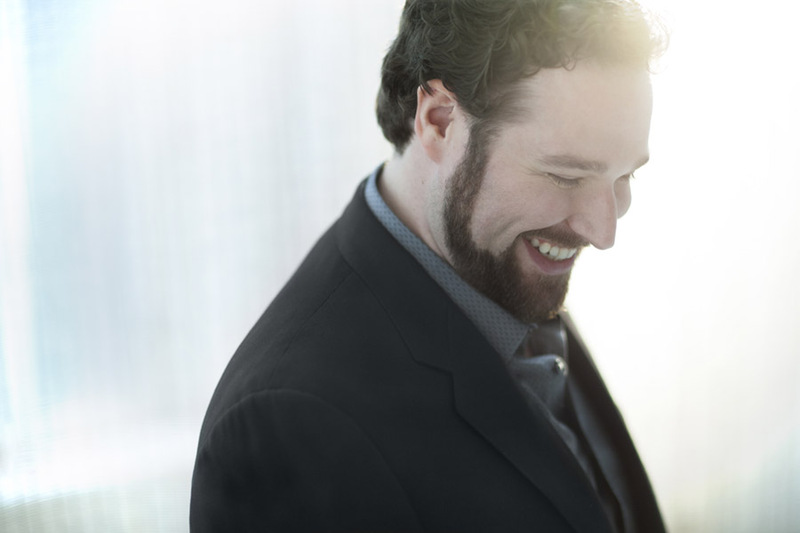 His Metropolitan Opera debut came in 2012 with Les Troyens, and he returned in subsequent seasons for Madama Butterfly and La Bohème. He made his house and role debut as Percy in Lyric Opera of Chicago’s staging of Anna Bolena, as well as his San Francisco Opera debut in his renowned rendition of Énée in Les Troyens and his Washington National Opera debut as Don José in Carmen. Additional appearances include debuts with the Vienna Staatsoper, English National Opera, and the Canadian Opera Company in Madama Butterfly; De Nederlandse Opera in Les Troyens; Deutsche Oper Berlin in Rigoletto; Oper Frankfurt in Edgar; Teatro Municipale di Salerno in Robert le Diable; Oper Desden in Der Rosenkavalier; Houston Grand Opera in La Traviata; Santa Fe Opera as the title role in Faust; and his role debut as Arnold in a new production of Rossini’s Guillaume Tell at the Bayerishe Staatsoper. On the concert stage, Hymel has been seen in Beethoven’s Symphony No. 9 led by Gustavo Dudamel at Milan’s Teatro alla Scala; Verdi’s Requiem with the Rotterdam Philharmonic Orchestra under Music Director Yannick Nézet-Séguin and at the Edinburgh Festival under Donald Runnicles; Walter Braunfels’ Jeanne d’Arc with the Salzburg Festival; a European Tour of La Damnation de Faust with the Orchestre National du Capitole de Toulouse; Roger Waters’ Ça Ira at the Gothenburg Culture Festival and in its US debut with the Nashville Symphony; and in Berlioz’ Requiem with The Netherlands Philharmonic Orchestra and the Orchestre National du Capitole de Toulouse. Hymel debuted with the Jerusalem Symphony in a solo concert conducted by Music Director Frédéric Chaslin. A frequent collaborator with the PKF – Prague Philharmonia, he appeared at the Royal Opera House in Oman for a special New Year’s concert under Music Director Emmanuel Villaume, as well as concerts in Prague’s Smetana Hall and the Théâtre des Champs-Élysées in Paris. He made his debut in recital at London’s Wigmore Hall in 2016. A frequent collaborator with other notable vocalists, Hymel has been seen in concert with Susan Graham at the Santa Fe Opera and with Elina Garanca as part of a three-city Austrian tour entitled “Music Under the Stars.” Hymel made his Carnegie Hall debut in 2008 with the Opera Orchestra of New York in a gala concert featuring Renée Fleming, Marcello Giordani, and Dolora Zajick, as well as his London recital debut on the Rosenblatt Recital Series. Among his many accolades, the New Orleans native is the Top Prize Winner of the 2009 Gerda Lissner Foundation Competition and was the First Prize Winner of the 2008 Licia Albanese/Puccini Foundation Competition, the 2008 Loren L. Zachary Vocal Competition, and the 2008 Giulio Gari Foundation Competition. He was a grand finalist in the 2000 Metropolitan Opera National Council Auditions. Hymel studied at the Academy of Vocal Arts in Philadelphia under Bill Schuman and was a participant in San Francisco Opera Center’s Merola Program.